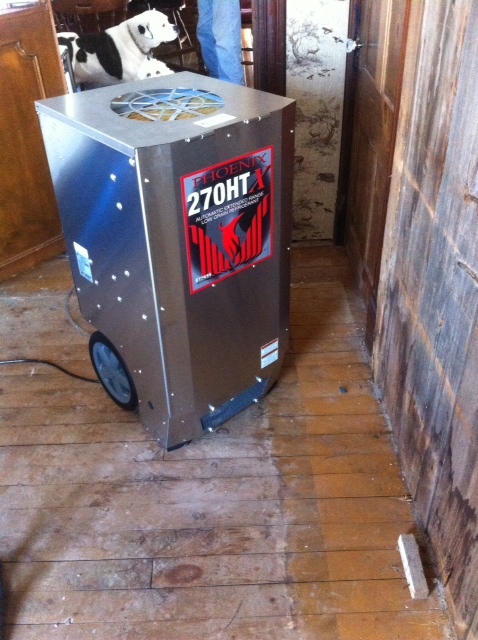 The Carpet Doctor uses the The Phoenix 270HT. It is one of the most effective and versatile drying devices available. Sometimes the unthinkable happens. When it does and you have water from broken pipes, leaking appliances or a flooded yard, call The Carpet Doctor. We have the equipment to quickly extract the water from your flooded areas and dry them out fast. Whether you have water damage from a storm, broken pipes, leaking appliances, blocked drains or some other accident, The Carpet Doctor WNY is at your service. It is important to quickly dry your water damaged area. You need the professionals from The Carpet Doctor with our state-of-the-art moisture detection equipment to locate and eliminate hidden moisture. We will work to make sure that your property is completely dry in as short a time as possible. Call The Carpet Doctor when you need water removed and your spaces dried out!